The meeting is on Tuesday 12th January at Faraday House, 48-51 Old Gloucester Street, WC1N 3AE (map), just five minutes’ walk from Holborn tube station (Central and Piccadilly lines). The meeting starts with an informal gathering and light refreshments at 6pm, with the debate starting at 6.30pm. All members are welcome. 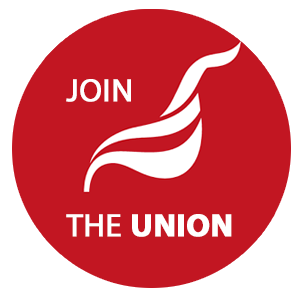 A discussion on our union's links with the Labour Party and its political direction could hardly be more timely. In 2016, The Housing and Planning Bill, further cuts to welfare support, and the Trade Union Bill's attacks on our employment rights will all come into effect. The legislation is driven by a political ideology that seeks to undermine social housing and the delivery of homelessness services where they are most needed, and undermining our ability to defend ourselves from unscrupulous employers. We are supporting the campaign against the Bill and you can download a template letter to send to your political representatives here. The housing crisis is set to deepen, putting ever greater pressure on our members in their workplaces. These changes also mean that our campaigns for better social housing and improvements to the way that housing workers are paid, trained and treated remain as important as ever.